Your source for books, supplements, and health products to help you on your journey. Dr. Mimi Guarneri’s Pacific Pearl custom formulas, our 21-Day Jumpstart Program, Daily Greens, Fiber Plus, and Pacific Pearl Protein Powder. 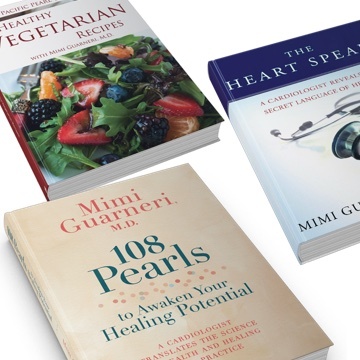 Dr. Mimi Guarneri’s top-selling books and recordings are featured along with some of her favorite health and wellness devices and products. Whether seeking guidance or finding the perfect gift, this special list should be a first stop for you. 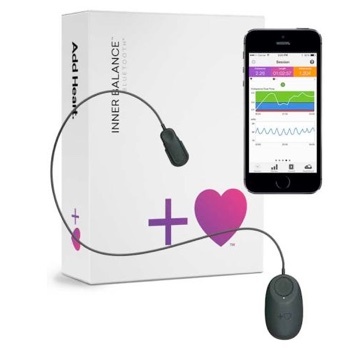 Integrate technology into your healthy routines and monitor important health stats. After you’ve shopped in “SUPPLEMENTS” with Dr. Guarneri’s customized Pacific Pearl line of supplements – check out Wellevate. It’s our next-generation online patient dispensary for other professional-grade nutritional supplements. Easy re-ordering and and setting up auto-refills. See more than 300 products from top brands. Free shipping for orders $49 or greater.